For the week starting 17 September we celebrate the first Organic Wine Week in NZ by featuring the wines of Churton - a family winery established in 1997 by Sam and Mandy Weaver. 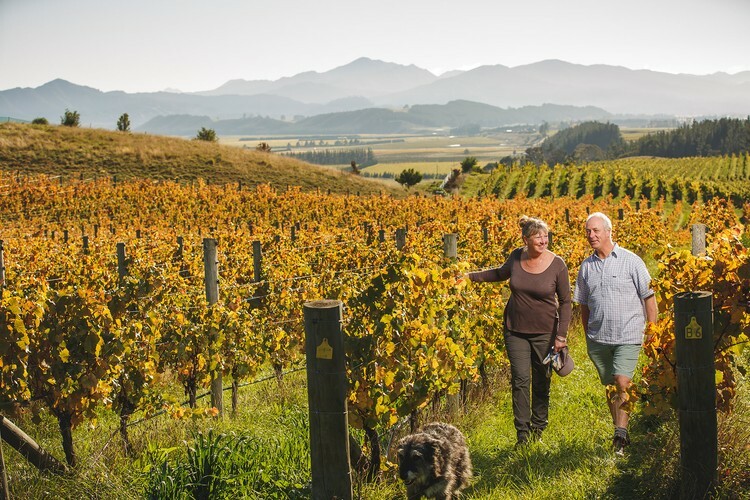 Churton a single 22 hectare vineyard between the Omaka and Waihopai valleys in Marlborough. The vineyard is divided into 17 singular blocks, each with their own unique aspect and topography, and produce four grape varieties - Sauvignon Blanc and Pinot Noir as the classic grapes of the region, but also small amounts of Viognier and Petit Manseng. The vineyards are 100% Certified Organic and Biodynamic. One of Churton's secrets is their low yields - managing the vines carefully to produce a dramatically smaller amount of fruit per vine, in some cases only a quarter of the average for the region. Combined with their dedication to biodynamic principles makes for wines of intense concentration and finesse. We will be opening the Churton wines for tasting throughout the week in shop, drop in for a closer look and a free taste of these lovely artisan wines.